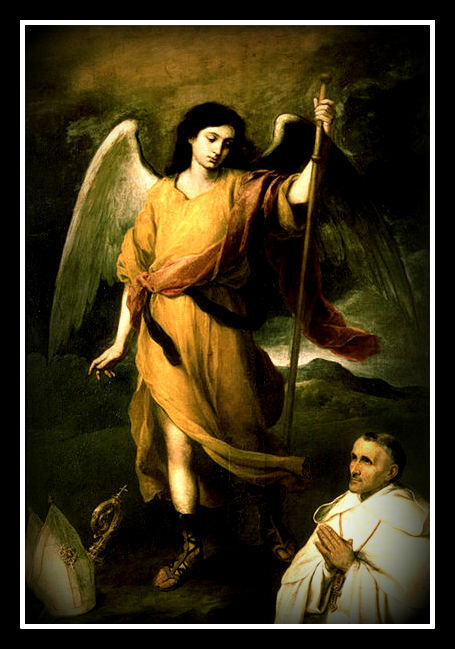 Glorious Archangel Raphael, great prince of the heavenly court, you are illustrious for your gifts of wisdom and grace. You are a guide of those who journey by land or sea or air, consoler of the afflicted, and refuge of sinners. I beg you, assist me in all my needs and in all the sufferings of this life, as once you helped the young Tobias on his travels. Because you are the “medicine of God” I humbly pray you to heal the many infirmities of my soul and the ills that afflict my body.